Coast Guard rescue crews work to help an injured crewmember aboard a sailboat near Matinicus Island, Maine. A 47-foot boat crew from Coast Guard Station Rockland launched Nov. 8 and escorted the Shiela, a 27-foot sailboat, to meet an MH-60 Jayhawk helicopter crew from Coast Guard Air Station Cape Cod that would airlift the patient. A boater from Wilmington, N.C., was rescued by the Coast Guard after his boat was grounded on rocks in Bartlett’s Reef near Stonington, Conn. The anchor chain on the vessel broke and it became grounded. It began taking on water and was submerged before a salvage company could recover it. A crane and barge was sent to recover the vessel. Coast Guard Station New London launched a response boat crew and rescued the boater. An injured fisherman was transported to shore by the Coast Guard after being 100 miles off the coast of Cape Cod. He was then transported to local emergency services. 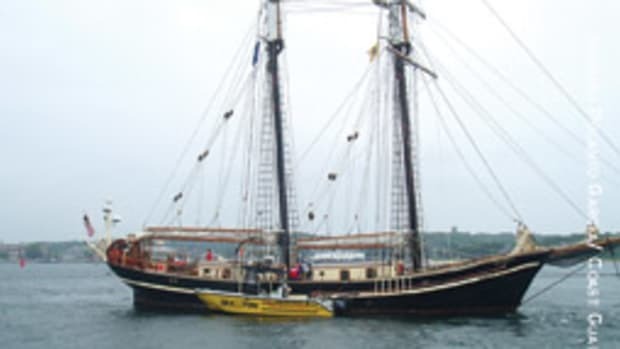 The fishing vessel Santa Queen notified Coast Guard Sector Southeastern New England that a crewmember had injured his thumb while handling line on deck. 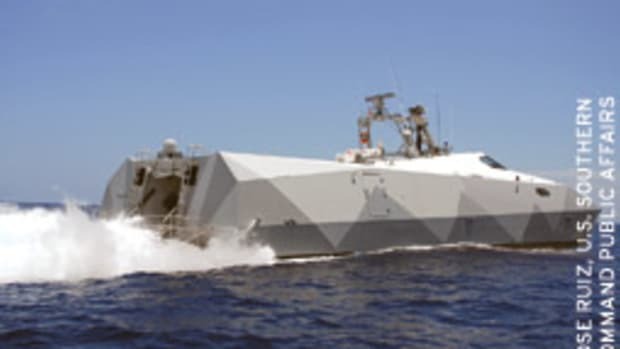 Sector Southeastern New England was unable to maintain radio communication with Santa Queen so the Coast Guard cutter Vigorous, which was 60 miles away, was diverted to re-establish communications, according to the Coast Guard. Two fishermen were rescued after they went missing eight miles east of the Cape Cod (Mass.) Canal in Cape Cod Bay, according to the Coast Guard. 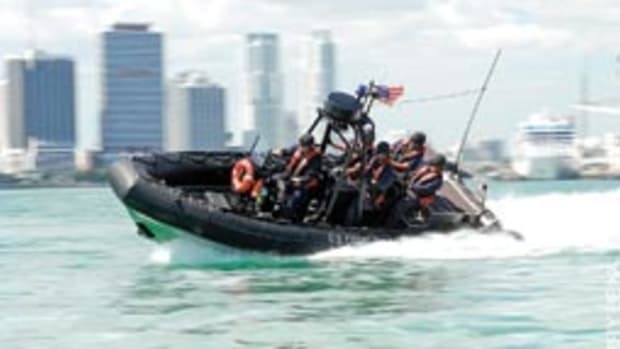 While performing a shoreline search, the Sandwich Police Department located a debris field from the 36-foot fishing boat and notified the Coast Guard. Shortly thereafter, an MH-60 Jayhawk helicopter crew from Coast Guard Air Station Cape Cod located the two men about 50 yards off Springhill Beach in Sandwich, Mass., hoisted them into the helicopter and transported them to the air station. The two fishermen are reported to have declined medical attention and were in good condition, according to the Coast Guard. 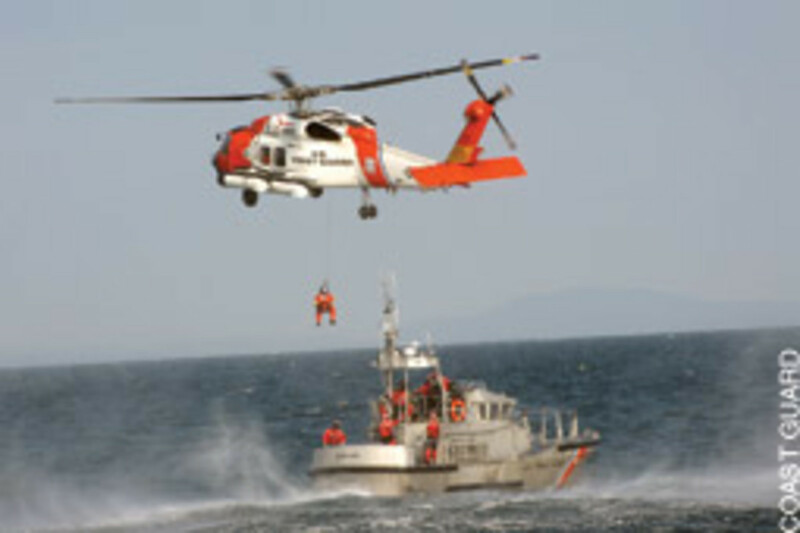 The fishermen spent five hours in 52-degree water, according to the Coast Guard. 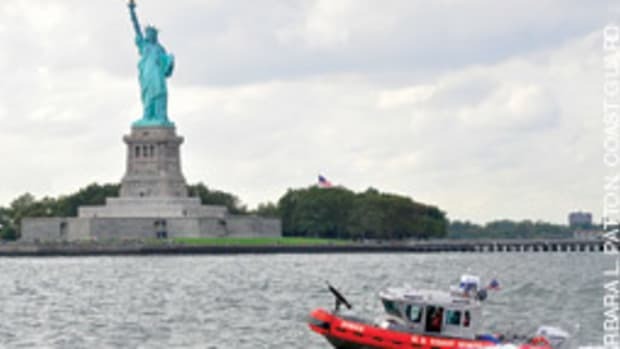 “Fortunately the two men were wearing survival suits,” says Petty Officer 1st Class Steve Kent, the operations unit controller for Coast Guard Sector Southeastern New England. 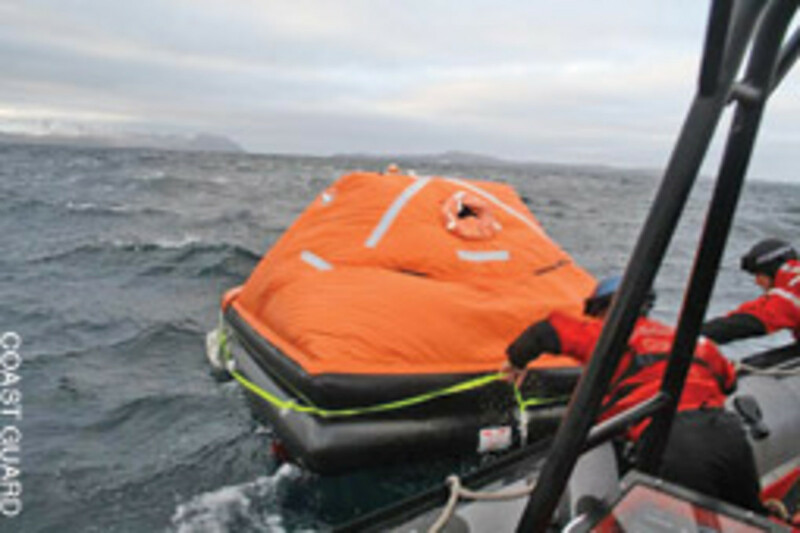 Coast Guard patrol aboard a small boat deployed from the Coast Guard cutter Munro worked together to tow the life raft from the fishing vessel Carly Renee in the Bering Sea to Munro, rescuing the four fisherman. 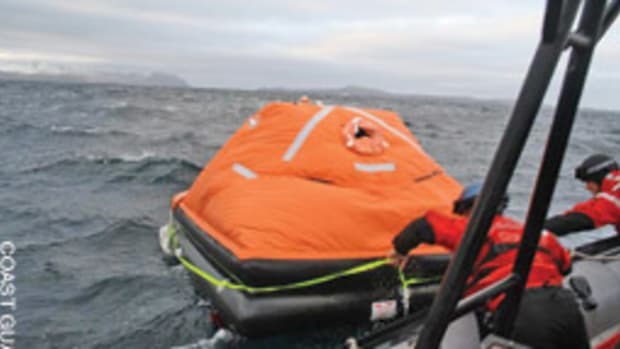 The four fishermen from the Carly Renee abandoned ship 22 miles east of Unalaska Island because their vessel was taking on water, according to the Coast Guard. The four fishermen were reported in stable condition.